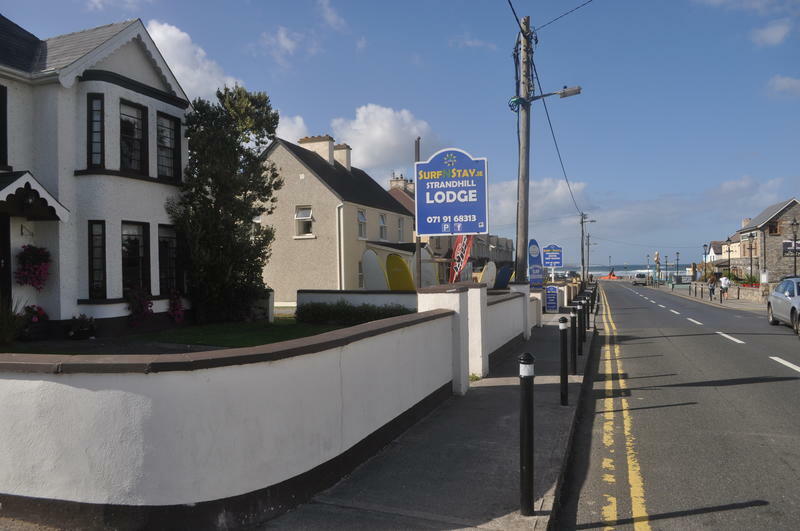 Welcome to Strandhill Lodge, Hostel and Surf School, only 100 metres from the beach. 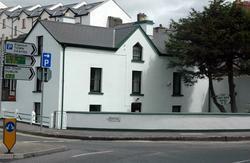 We're the budget alternative for your stay in Sligo. Our ensuite private rooms include free continental breakfast. 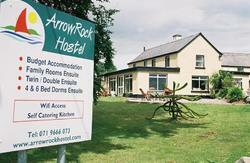 The hostel dorm rooms are with shared shower and toilet facilities and free continental breakfast. Also camping is available including free use of the hostel. Guests can enjoy two hours blokarting, sea fishing or a three-hour lesson at our surf school. We also do group rates and great surf and stay deals. Our daily surf lessons include all equipment. We offer a ton of freebies, including self-catering kitchen facilities, linen, safe and secure parking, Wi-Fi, bicycle lock-up storage, a secure surf board and wetsuit shack, a drying room, an all-weather BBQ, a play area with ball games and our gardens/sand dune leisure area - all for free! There's no curfew. We have a wide range of local discounts and hot offers for guests, such as discounts on Voya Seaweed Baths, bike tours, AirSoft/paintballing, deep sea angling tours, and more. There's also discounts on local restaurants, confectionary and taxis! Local amenities at this scenic seaside resort include the beach, water sports, pubs, good walking grounds, golf, an award-winning spa and award-winning restaurants, top bars and live music and more. We're 50m from the promenade and seaweed baths and only 8km to Sligo City, where you can find pubs, shopping and nightlife. There's new conference/training/meeting facilities available only five minutes away at Sligo Airport, printing, scanning, faxing and more. The community park and children's playground is just two minutes away. From here you can climb Knocknarea, grace of the warrior queen of Connaught, or drive across to Coney Island at low tide. You can see St Patrick's Wishing Chair and Carrowmore Megalithic Tombs-possibly the oldest building in the world. Within 16km are Lissadell, Glencar, Benbulben and Lough Gill, while 30 to 60km away are Donegal, Enniskillen, Lough Key, Knock and Enniscrone. ~ Bus: Sligo to Strandhill (10 min) from Sligo Bus Station. ~ Car: Drive-- Sligo City to Strandhill = 8km. ~ Taxi: Sligo - Strandhill approx. 12 approx. ~ We're within 100metres of Promenade and Beach. Opposite Bella Vista Bistro Bar/Restaurant.